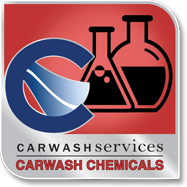 Carwash Services of the Southeast, Inc.Chemicals - Carwash Services of the Southeast, Inc.
At Carwash Services of the Southeast we offer the top brands that will give your vehicle the cleanest and shiniest product that can be produced. We offer 13 full-time Chemical Representatives who monitor the chemistry in your tunnels and rollover-systems, freeing up time for you and your site managers to better run your business. Frequency of site visits depends on your volume, ranging from once a month to every other week. We come out when an issue arises in between visits. We also work Saturdays and are on-call on Sundays. 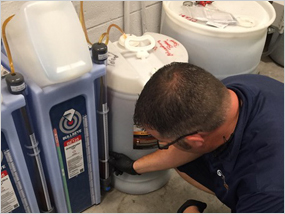 While on site, our Chemical Representatives will make recommendations for part replacement, component upgrades, and marketing items that will enhance chemical use efficiency, saving you money and improving your bottom line. 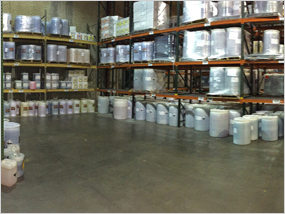 Our local warehouses stock chemicals for all the systems we install and service, getting your chemicals to you faster and cheaper than other area suppliers. Each Warehouse Manager oversees all shipping and distribution.